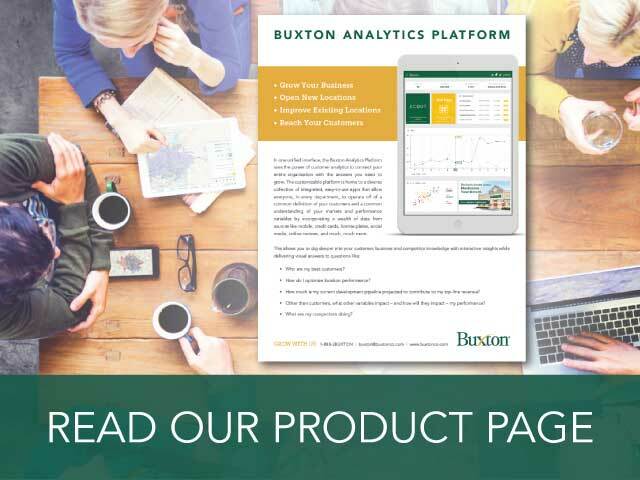 Buxton, the industry leader in customer analytics, is pleased to announce the launch of the Buxton Analytics Platform. The new cross-functional, mobile-friendly platform provides users with the combination of analytics tools relevant to their professional roles and unites organizations with a centralized view of their customers. 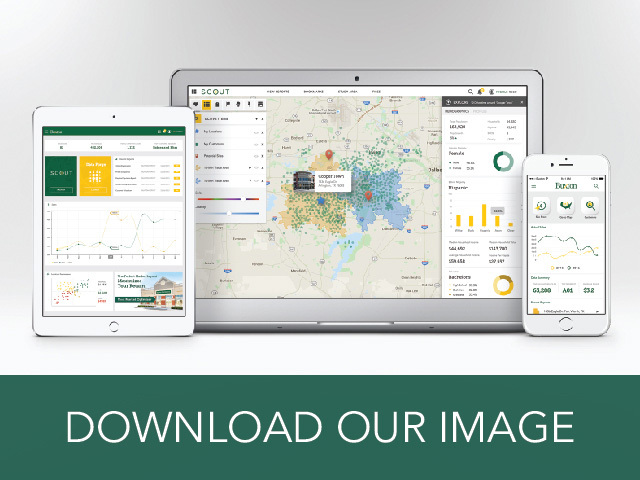 Included in the platform is an upgrade to the company’s proprietary real estate tool, SCOUT. The customizable platform is home to a growing collection of integrated, user friendly applications. 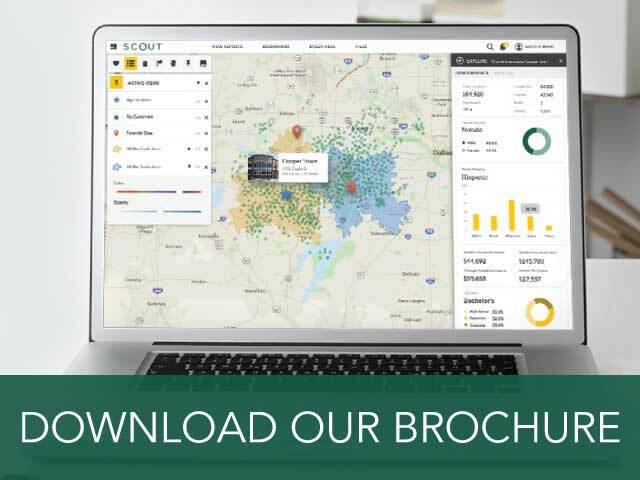 SCOUT, Buxton’s industry-leading analytical mapping and management tool, is the banner application and now boasts an enhanced interface and functionality. Additionally, the platform is optimized for both desktop and mobile device use, providing professionals with easy access to analytics for decision making both in the office and offsite. Buxton clients will be able to access the new analytics platform and enhanced SCOUT application beginning in February 2016. New applications will be announced as they are launched. To learn more about Buxton’s analytics platform or enhanced SCOUT application, please contact the company at buxton@buxtonco.com. For media inquiries, please contact Katie Russell at krussell@buxtonco.com. Buxton is the industry leader in customer analytics. Our analytics reveal who your customers are, where more potential customers are located and the value of each customer. More than 3,500 clients in the retail, restaurant, healthcare, private equity, and public sectors have relied on our insights to guide their growth strategies. Clients include Aaron’s, Jamba Juice, and Anthropologie. By clicking submit, I agree to receive periodic emails from Buxton containing news, updates and promotions related to Buxton’s products and services.